Once again, Facebook has made a change, which directly affects users, without letting anyone know about it. The latest change is to users’ email addresses. For some strange reason, the powers that be at Facebook thought it would be a good idea to give all users an @facebook.com email address. If you haven’t already seen it or heard about it, it looks something like this example: 0123456789@facebook.com. It’s not surprising that when people discovered that the email addresses that are visible to their friends look like the example above, they were livid. According to an article in the Business Journal, Facebook warned people about the impending changes to users’ email addresses that would make them “consistent across our site.” Again, no surprise that most people forgot all about that caveat and went on about their lives. When you log in to your account, and go to your timeline view. Under the photos at the top of the page, click on the word About. Scroll down until you come to the heading Contact Info. Under Contact Info, click on Edit. Look for a circle in the top right corner beside the Facebook-issued email address. If the circle is open, that means that the Facebook email address is visible to those who click on About to get to know you better. Click on the triangle to the right of the circle, and then click on Hidden from Timeline. Once you’ve done that, the circle should have a slash through it. Make sure that your original email address has an open circle beside it, which indicates that your original email address is Shown on Timeline. Although it’s understandably frustrating to log in to your account and discover that Facebook has once again made a change that directly affects you without notifying you first, be grateful that there’s a quick and easy way for you to rectify it. 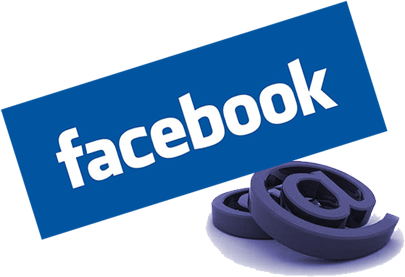 Do you have questions about the use of Facebook in your business? Talk with one of our trusted IT professionals who can help you understand how to best use Facebook in your business.